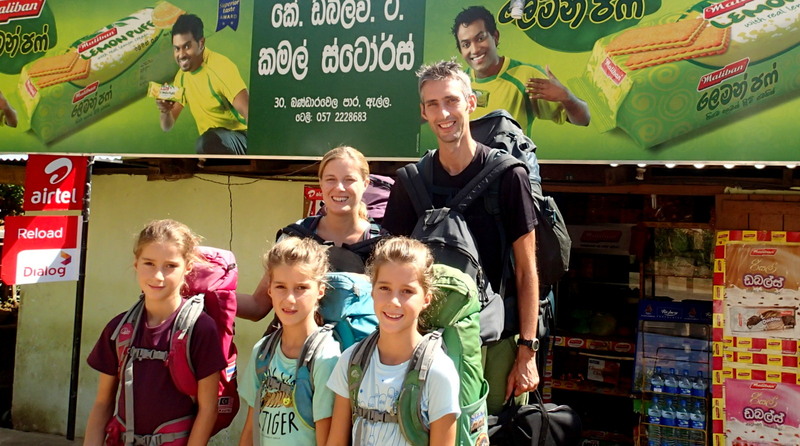 In no particular order, here are some of the things that have proved their worth time and time gain in the last (nearly) six months of backpacking round Asia with our kids. Packing cubes. 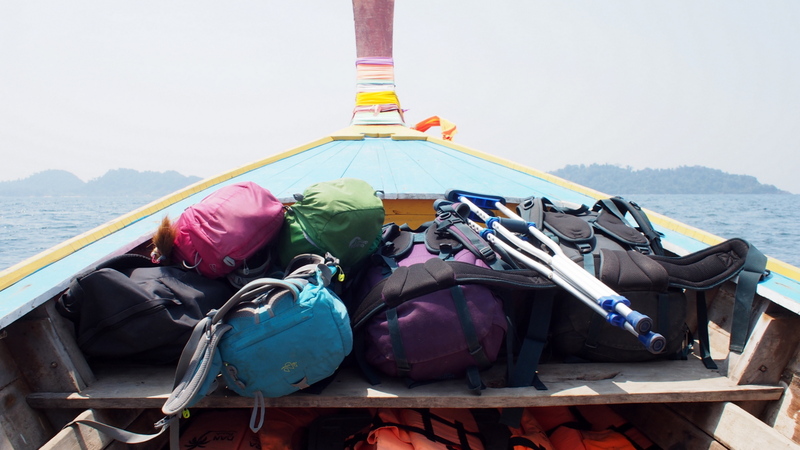 Who wouldn’t pay a few quid to not have to rummage constantly through their rucksack, which, let’s face it is one of the main occupations of most backpackers. Plus, you can unpack into a wardrobe or onto shelves and back into your rucksack in minutes. We’ve got three sizes. Small (for pants, socks and small stuff like spare pens and pencils). Large are for clothes. The kids clothes are organized by temperature. Mine is by tops and bottoms. Janet’s is jumpers and everything else. Im not entirely sure why she has a whole big cube of jumpers when it’s 30 degrees unless she’s compensating for the regret of not bringing one at all last time we travelled. There’s also a large one of tech stuff (adapters, chargers, wires, card readers, etc.) Medium is a bit more random. Basically, it’s everything else: shoes, games, toiletries, mosquito repellents… Our packing cubes have also proved useful as substitute pillows on many occasions (Janet’s jumper cube is the best). Inflatable mattresses. These are amazing. They were expensive but they’ve more than paid for themselves in being able to all share a hotel room rather than booking two. And they’re just so small – they roll up to twice the size of a can of beans and weigh only the same as one can. 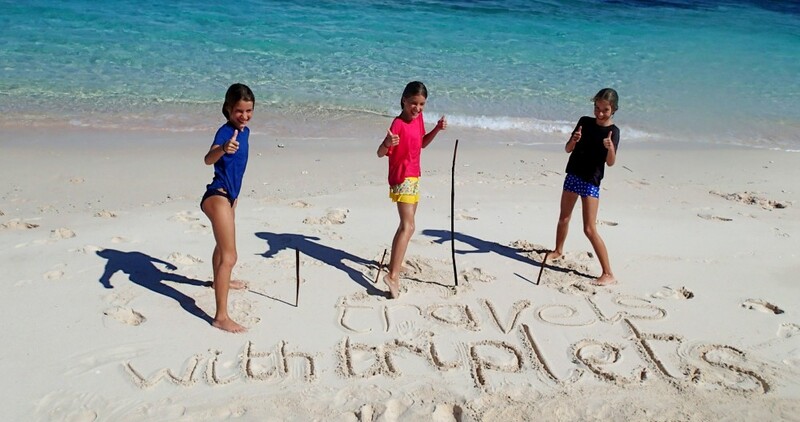 While we rarely use all three, they’ve come in useful everywhere from airport stopovers to desert island bamboo huts. Penknives. I have a big man-size Victorinox. Janet has a dainty ladies one. The kids were so jealous that we bought them their own little ones for Christmas. Without these we’d be at the mercy of splinters, unopenable beer bottles, impregnable tin cans, unrippable-open packets, unclipped toenails, condiments in need of spreading (I’ve carried Marmite with me the whole way, so far), sticks needing whittling and innumerable other small emergencies. Anthisan. Tropical countries: beautiful landscapes, horrible insects. We bought an entire chemist’s stock before we left but still had to ask my mum to send us more. Works better on mozzie bites than anything else we’ve ever tried. For preventing the bites in the first place, we use industrial-strength Deet. Travel Kettle. We wouldn’t have thought of this had we not met a travelling couple who had one in Nepal. We very quickly developed kettle envy. No more extortionately-priced cups of tea for us now though. Plus there’s the possibility of Pot Noodles, Milo, Ovaltine, hot chocolate… Has paid for itself many, many times over. Swoosher. Janet loves this. I mean loves. She exalts in how great it is pretty much every time we move accommodation. More commonly known in the UK (and everywhere else) as a squeegee, to be fair, it is great for getting the water out of the many poorly-drained bathrooms we’ve had. Bought in Pokhara, Nepal, for about 20p, who knows how many slips-and-falls this has saved us from. Has also removed enough sand to fill Blackpool beach from our island-hopping bungalows. And was essential in keeping Tettie’s cast dry. Kindles. There’s no way we could have carried around the number of books our kids have read since we set off. And while you can pick up random adult paperbacks at guesthouses, there’s very rarely any aimed at kids. Even better, me and Janet have Paperlights which let us read after the girls have gone to sleep when we’re all sharing a room. Sarongs. In Nepal, we visited a tailor and get a sarong each made from nice, loose-weave cotton. All five weight less than one towel, are bigger, dry faster and can also be used as a frock (for Janet and our girls, not me – I’m far too manly). A Bum Bag. Not cool. Not flattering. But incredibly useful when you’re harried, tired, late, laden down with backpacks, frontpacks, shoulderbags and clinging children, racing for a bus and need to find your tickets. Or to always know you have loo roll and hand sanitizer in loo-rolless, unsanitary toilets. I just keep my stuff in Janet’s to maintain my cool image (because it’s cool to be harried, tired, late, laden down with backpacks and kids and racing for a bus as long as you don’t wear a bum bag, right?). Waterproof Cast Cover. Ok, this one is rather specific to us but wow! did it ever improve our trip. Without it, we would have spent six weeks on Thailand’s beaches, coasts and resorts with swimming pools without Scarlett ever being able to enter the water. I can only imagine how jealous she would have been of her sisters, and when she was forbidden on doctor’s orders from running or jumping, it as only in the water that she had real freedom. So there you have it. Ten things that have proved themselves useful as we travelled. There are others, of course – gaffa tape, super glue, hand sanitizer, carabiners, buffs, Crocs for the kids, our collection of portable card and board games, our incredibly-light MacBook Air laptop – but these have definitely been the stars of the show. Also, Evie points out that rucksacks should really be on this list, which is true… but you know that already, right?